Sugared Plums is made using 30's reproductions and bleached muslin. Kit is complete and packaged in a bakery bag. Along with a "recipe" to make it, this Sweet Confection, is so much fun! 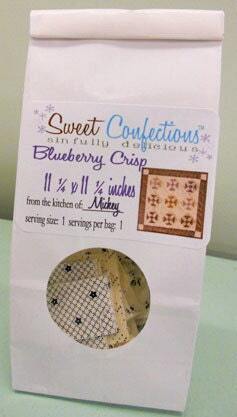 Sugared Plums measures 11 x 13 ½ inches and is a Sweet Confection designed by Mickey Zimmer of Sweetwater Cotton Shoppe. 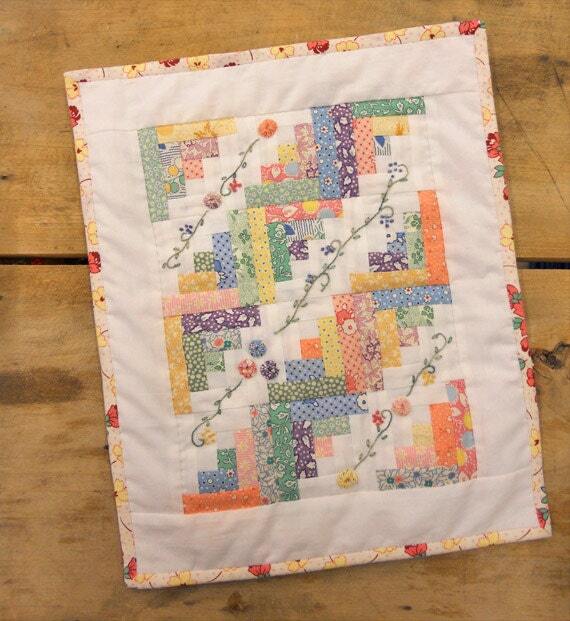 Kit includes: recipe card pattern, fabrics for the front, binding, and backing. We have put together little packs of thread for finishing this project. Just snip at the knot, press with a hot iron, and start stitching! Beautiful!!!! A lovely little item. A pleasure.